Quarter Polish: Queen's Guard - Now Available! Queen's Guard - Now Available! Just added another item to my Etsy shop of a Queen's Guard. 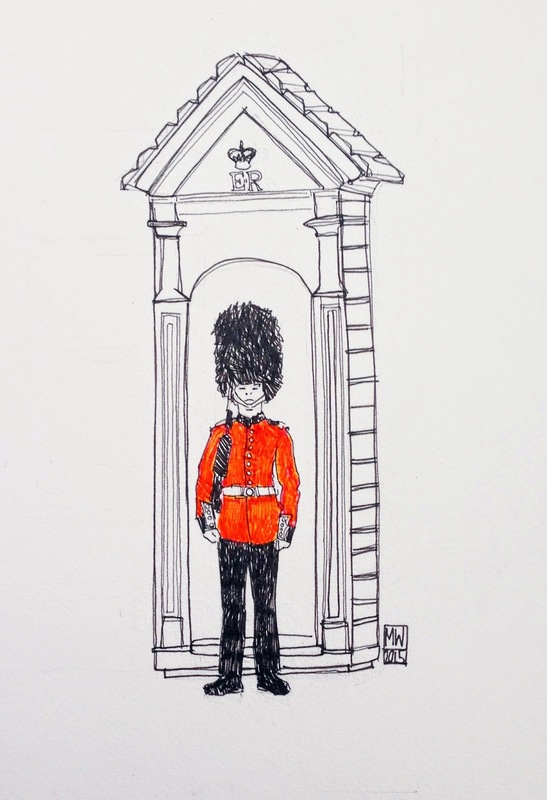 Famous for their red coats, bearskin hat and stony faces I think my illustration captures them pretty well. As an aside, there are loads of great YouTube videos of them in action. My favourites are definitely them shouting at the general public who are either climbing on fences or generally getting in the way!